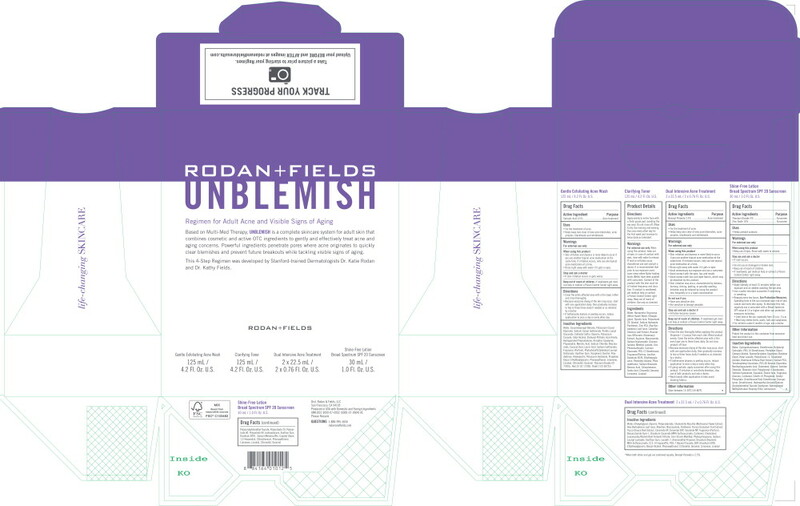 Proprietary Name: Unblemish Regimen For Acne, Blemishes And Breakouts What is the Proprietary Name? Non-Proprietary Name: Salicylic Acid, Benzoyl Peroxide, Titanium Dioxide, Zinc Oxide What is the Non-Proprietary Name? 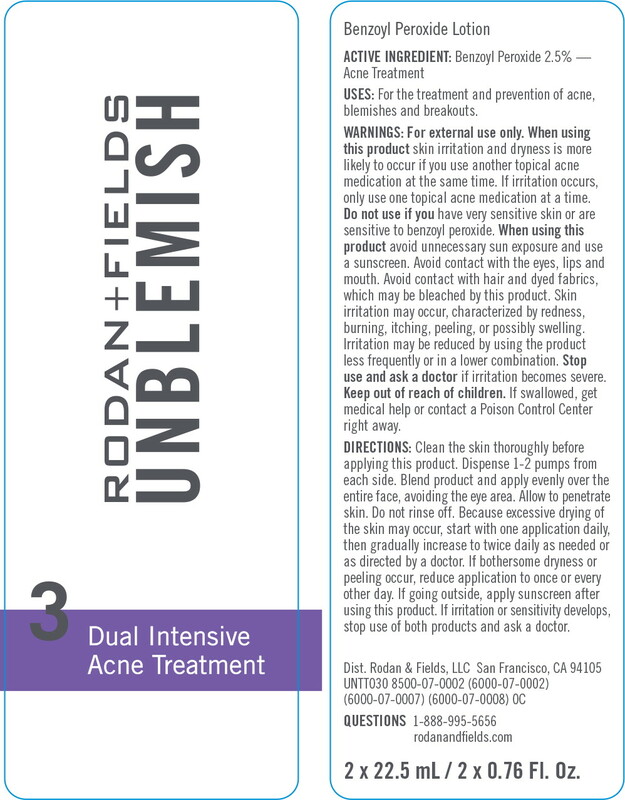 Unblemish Regimen For Acne, Blemishes And Breakouts with NDC 14222-2100 is a a human over the counter drug product labeled by Rodan & Fields. 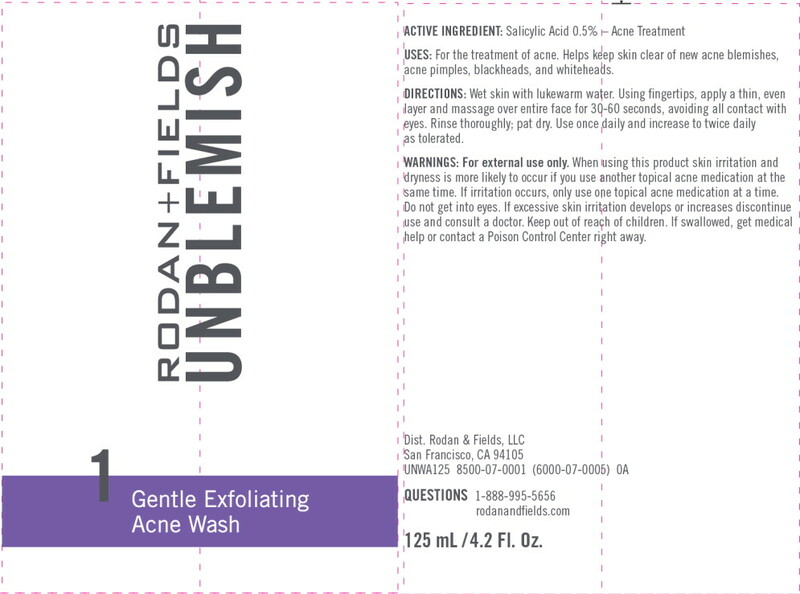 The generic name of Unblemish Regimen For Acne, Blemishes And Breakouts is salicylic acid, benzoyl peroxide, titanium dioxide, zinc oxide. The product's dosage form is kit and is administered via topical form. Helps keep skin clear of new acne blemishes, acne pimples, blackheads and whiteheads. Stop use and ask a doctor ifIrritation becomes severe. Clean the skin thoroughly before applying this product. Dispense 1-2 pumps from each side. Blend product evenly. Cover the entire affected area with a thin even layer one to three times daily. Do not rinse product off face. 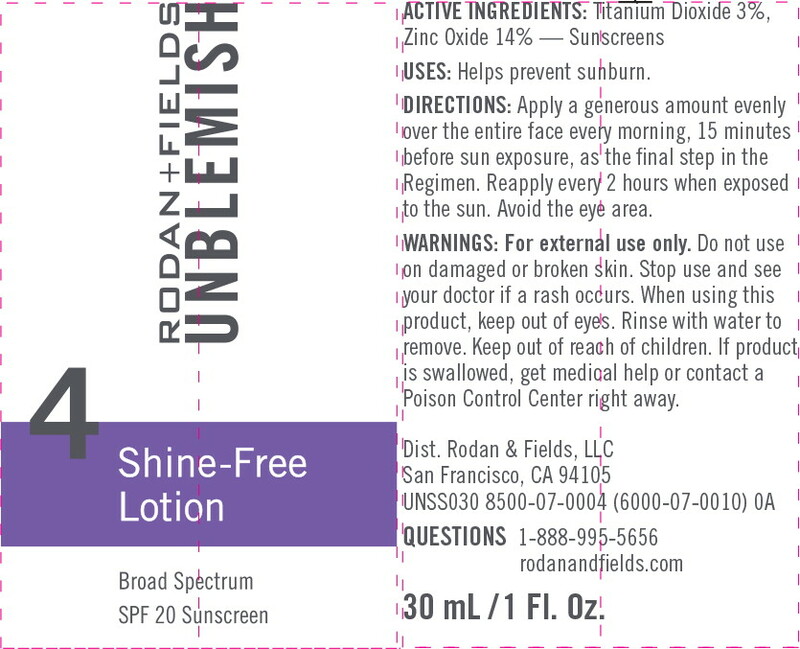 Apply liberally at least 15 minutes before sun exposure and as needed avoiding the eye area. Do not use if youHave very sensitive skin.